Absolutely Beautiful & Spacious 4/2 POOL Home with HUGE vinyl fenced backyard located on a corner lot in the Desirable Rio Pinar Golf & Country Club Community! This well maintained beauty is approx 2000 sq ft including Florida Room has a very desirable floor plan huge kitchen with wood cabinets & breakfast snack bar a lovely fireplace that can be enjoyed soon tiled throughout the entire home freshly painted interior beautifully landscaped exterior and a gorgeous backyard space that is perfect for a family & for entertaining!!! Located in a well-established quiet and highly regarded neighborhood - you will love living here!! 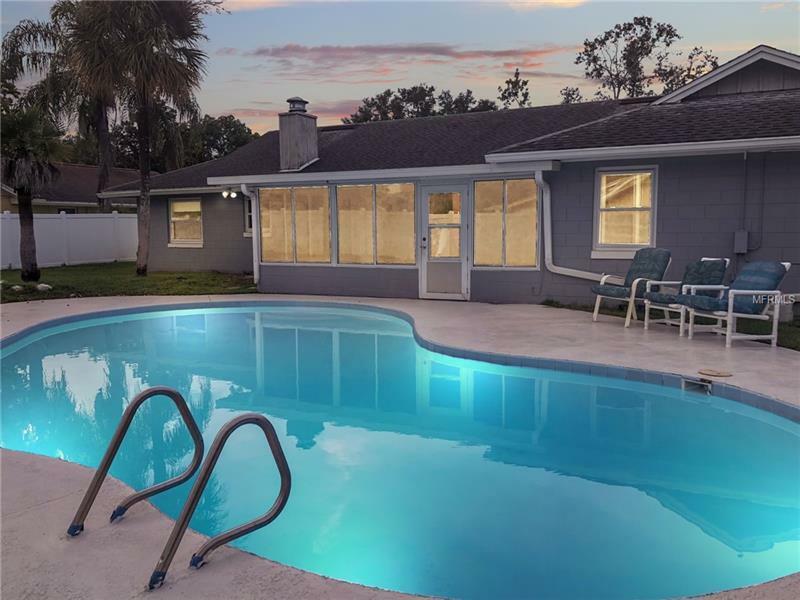 Convenient to downtown 408 and 417 the airport and just 10 minutes to Waterford Village shops and restaurants**Rio Pinar Golf Club is on site offering access to dining tennis and a beautiful historical golf course. Whether you stay home or explore your community there is always something to see and do. Schedule a tour today! This one will be gone quick!